Barbro Nilsson was born in 1899 in Malmö, Sweden and was a skilled, passionate and intuitive weaver, creating works deeply rooted in the folk traditions of Sweden that were also radical in their sheer exuberance and technical feat. The daughter of Swedish architect and designer Erik Lundberg, she went studied at the Brunssons Vävskola and Tekniska School in Stockholm (now known as Konstfackskolan). From 1934 to 1947, Nilsson taught at Konstfackskolan, Stockholm (University of College of Arts, Crafts, and Design) and later served as the head of the school’s textile department. In 1942, Nilsson became the artistic director and chief designer at the Märta Måås-Fjetterström workshop where she continued the studio's tradition of high quality craftsmanship and creative fervor. 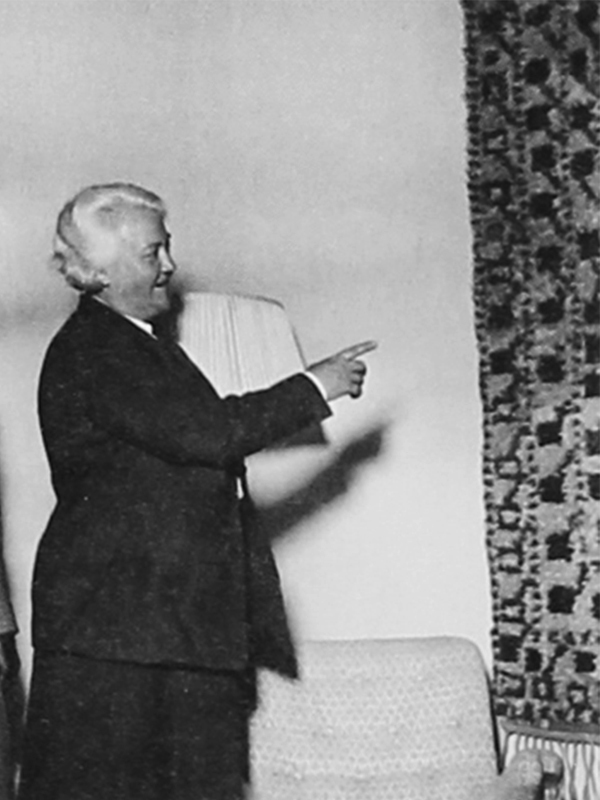 She created many flatweave, pile and tapestry-woven carpets for Märta Måås-Fjetterström. Her designs often feature nature-inspired patterns with an emphasis on color, the subtle variations in hue enlivening her works. Barbro Nilsson died in 1983 and her textile designs continue to be highly coveted by decorative art collectors.